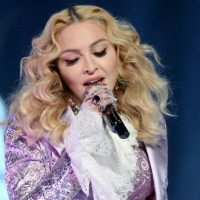 Jeff Kravitz/Getty Images via ABCIn April, Madonna teased on her Instagram and Twitter that she was working on new songs with Mirwais, one of the producers of her highly successful 2000 album, Music. While she kept including his name in hashtags, she didn’t officially confirm that the two were back together…until now. Mirwais also co-produced and co-wrote nearly all of Madonna’s next album, 2003’s American Life, and worked on a number of songs on her 2005 disc, Confessions on a Dance Floor. Madonna’s most recent album was 2015’s Rebel Heart.